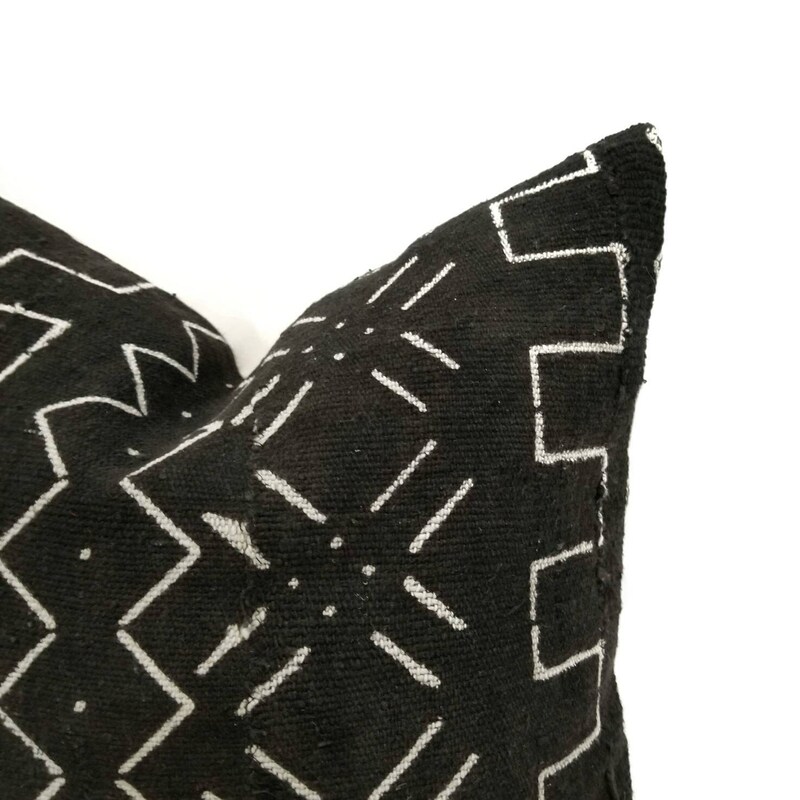 17" Black african mudcloth pillow cover. Fitted with a 18" insert. 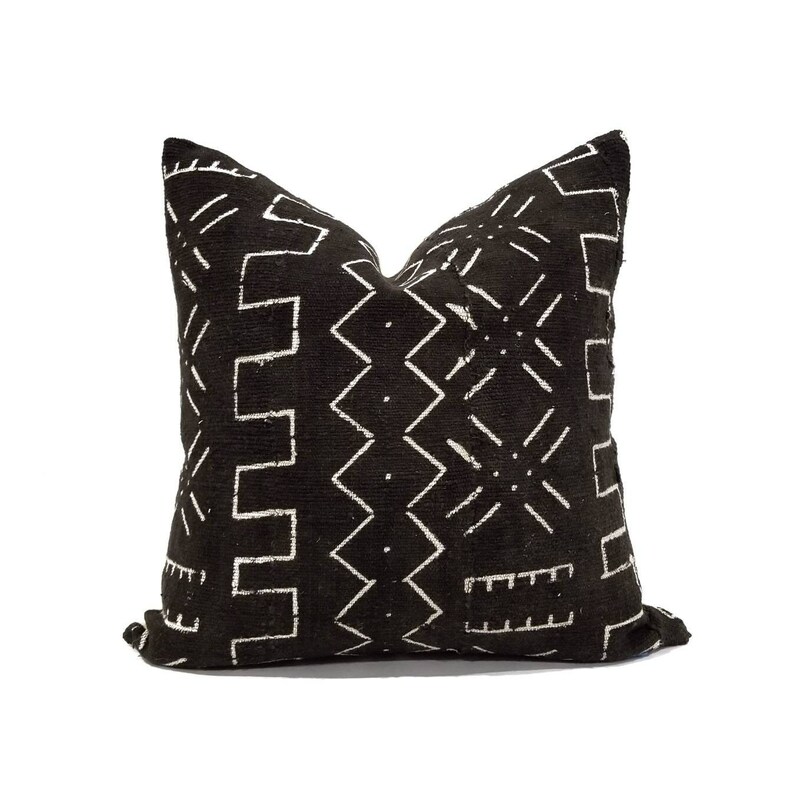 I love my new pillow! Great quality and looks awesome in our living room. Thank you!